One of the biggest drawbacks of the winter months is that it can be too cold to sit outside and enjoy your patio and outdoor living space. For those who would like to use their outdoor living space during the colder months, one great option is to invest in an AEI outdoor gas heater. An outdoor heater is a product that uses gas or electricity to heat the desired area of your outdoor living space, which can help you to feel comfortable outside in any climate. An outdoor gas heater can be used in many different situations during the colder months of the year. One of the most common times for using an outdoor heater is around the holidays. If you are hosting a party or gathering during the holidays, a gas heater is a great way to make your outdoor space more enjoyable and increase the overall usable square footage of your home. While a heater is a great tool to use for a party, it can also be great to have on smaller occasions, including family gatherings. When you are looking for a heater for your outdoor living space, there are many different options to choose from. One of the most common is an outdoor propane heater. 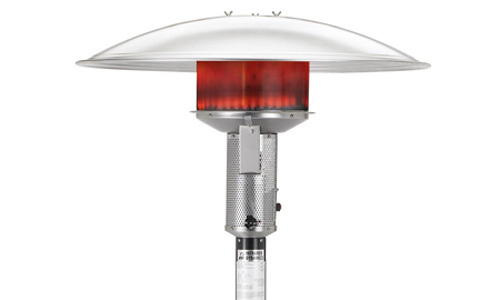 This type of heater looks like a giant lamp and can be as tall as 8 feet high. It uses a small propane gasoline tank to provide you with a range of different heat settings. These heaters can be temporarily placed in strategic locations of your outdoor living space, depending on where you and your guests are sitting. Another common type of heater today is an electric heater. These heaters can be plugged into your home electrical system and can use infrared heating to heat the desired area of your outdoor living space. These heaters typically provide up to 6,000 watts of power and can be mounted onto a wall, which makes them a more permanent heating solution for your home. One of the benefits of outdoor heaters is that they are very easy to use. An AEI Patio Comfort outdoor gas heater has a simple starting button, which is similar to the switch on a gas-powered grill. An electric heater has a simple on-off switch, which can be simply turned in either direction. Furthermore, it is very easy to control the temperature of the heaters once they are turned on, which allows anyone to change the temperature of the space to an ideal level. AEI Outdoor heaters are also built with only the highest-quality materials. This helps to ensure that they will continue to provide you with excellent results for years to come. It also helps to ensure that they are safe and simple to use.